With all the rain in the desert this winter, there should be a wonderful display of flowering plants for this workshop! This is a wonderful time to experience the splendor of the Sonoran desert landscape. With cool nights and warm, sunny days and water in the streams it is a great pleasure to saunter through the desert. Learning about desert plants as food or medicine is part of an ancient pathway. Like many other ancient practices, it has become new again. Fortunately, this practice is a way back to our true selves, one which promotes insights, knowledge and care of self, and enlivens within us integrity and compassion. I call it bioregional herbalism. It’s not just about learning the facts of the natural world around you - it’s about relationship. Taking time to observe, listen, and contemplate learning grows from a natural fountain of inspiration. Learning to embrace this practice is a way of coming home. If you are called to develop relationship with the plants around you for food and medicine, but unsure how to begin, then this workshop is just for you. If you have been gathering knowledge about the plants around you, but would like to go deeper, this workshop is also for you. In this 3-day workshop we will explore the fundamental aspects of becoming a bioregional herbalist: developing relationship with place and the plants within it. 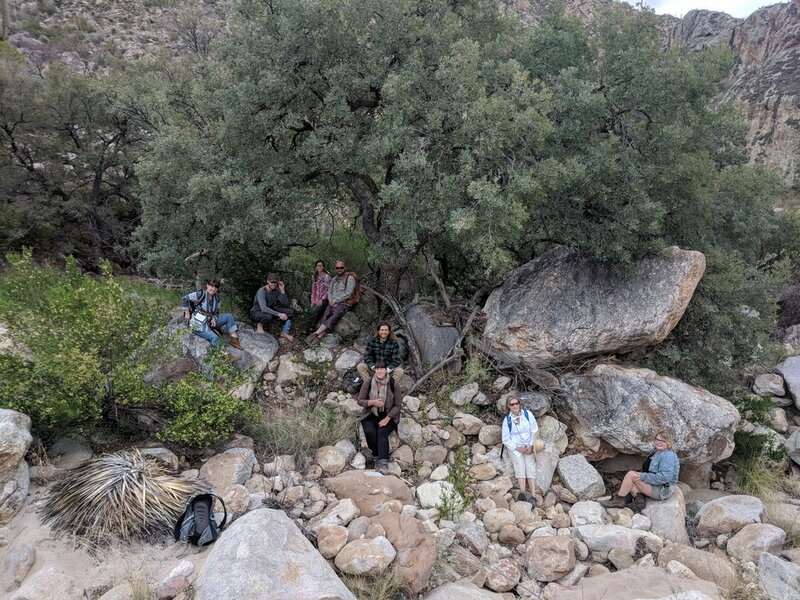 This endeavor leads us to the study of field botany, respectful wildcrafting and participation with our environment, plant energetics, landscape observation, developing and exercising the senses (particularly the feeling sense), herbal medicine making, and applying these medicines for well-being and healing utilizing our knowledge of our homeland and plant energetics. We’ll cover several key areas of bioregional herbalism in this workshop. We’ll spend time going over the basics of field botany equipping the beginner to begin identifying plants in the field through sensorial characteristics. Throughout the workshop we’ll be delving into plant energetics. Core concepts and principles will be introduced and covered repeatedly. Experiencing the plants in their natural setting and exploring these concepts amongst others (and through John’s guidance) while also consuming small amounts of plant medicine in context allows one to acquire this knowledge readily. Participants come away from these experiences appreciating plants in a whole new way, even when they already had a deep appreciation for plants. John is breathing new life into an ancient way of engaging with plants. What seemingly begins as an outward exploration of the local bioregion, quickly becomes a profound study of the internal landscape, of one’s own capacity to be in dialogue with the intelligent, living medicines of the green world. John reawakens in each of us, our own ability to receive wisdom directly from the source- from the plants themselves- through his invitation into stillness, an open heart, the body’s felt sense, and other subtle impressions. 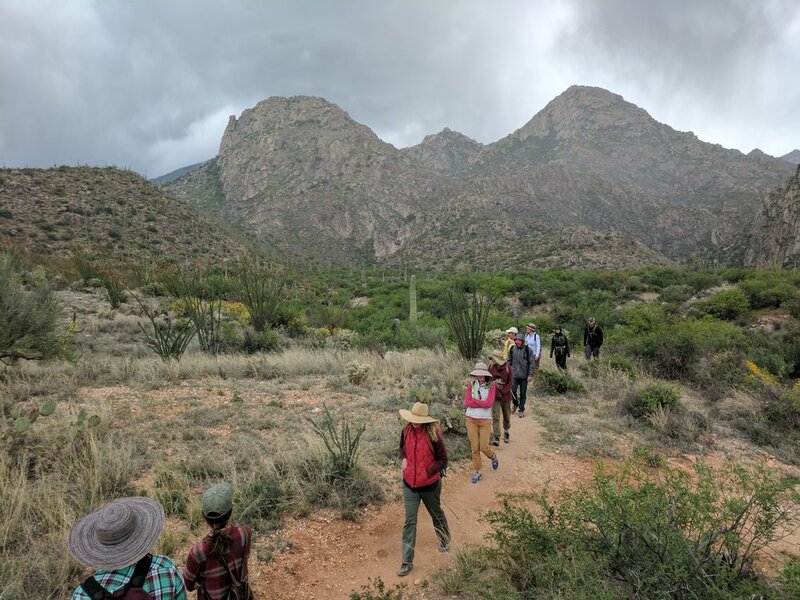 The bulk of our time will be spent on walkabout over and through the hills, mesas, and canyons of the beautiful and diverse Catalina State Park. The spring season is wonderful with cool nights and warm days, full of fragrant blossoms. Bringing together concepts which are deeply familiar, yet widely applicable serves to lift the participant up into a new level of growth and learning. Join me for this intensive workshop to begin to transform your approach to working with plants. Starting in your own backyard you can become a master of the wild food and medicine that grows within arm’s reach. Then begin to branch out with the basic principles and practices learned in this workshop to continually learn more about your local environment including unique ways to apply the herbal medicines you learn about. Becoming equipped with a hands-on approach to field botany can open up many opportunities for gaining unique knowledge about the plants you work with, and support further research into the ethnobotany and scientific research of other cultures across the globe. Class begins Friday afternoon, then full days on Saturday and Sunday. The workshop is held entirely at Catalina State Park, just north of Tucson, AZ. Single day registration for Saturday and Sunday is also available. Simply choose the single day option from the dropdown menu that suits you. There is also a couple’s discount available. A list of what to bring will be sent upon registration.